Today SpeedLine announced a new payment and guest rewards integration between the point of sale and Mercury StoreCard. 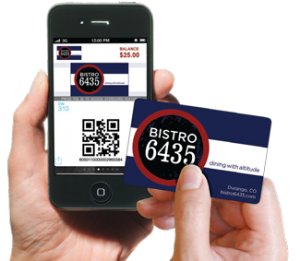 A private label gift, rewards, and mobile payment card in one, the StoreCard gives restaurant operators new tools to encourage repeat business—at little to no added cost. Guests can earn cash back rewards, give gifts, and pay for their meals with either a smartphone or plastic stored value card. And the guest's physical StoreCard is easily converted to a mobile wallet, so they can pay or redeem cashback rewards by scanning a code on their phone. StoreCard encourages customer loyalty through rewards and a faster, more convenient checkout experience. And StoreCard transactions are free and unlimited for SpeedLine users if the restaurant already processes credit cards with Mercury. Guests can easily load and reload funds onto the StoreCard: cardholders can reload a StoreCard automatically by simply linking it to a credit card. For restaurants in the US, the SpeedLine integration with Mercury StoreCard also includes Card Studio, an ecommerce website that makes it easy for restaurant guests to purchase and send physical or e-gift cards to friends and family. 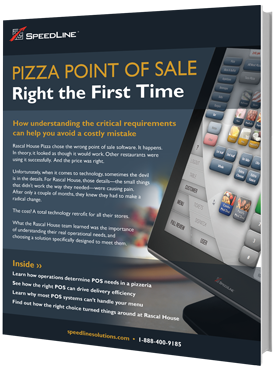 Restaurant operators who already use MercuryGift® can add StoreCard with no change to the POS. Occasional contributor of On Point, Jennifer led the marketing for SpeedLine from 2002 to 2018. She loves, books, yoga, playing at the beach, and commenting on bad TV with her family.